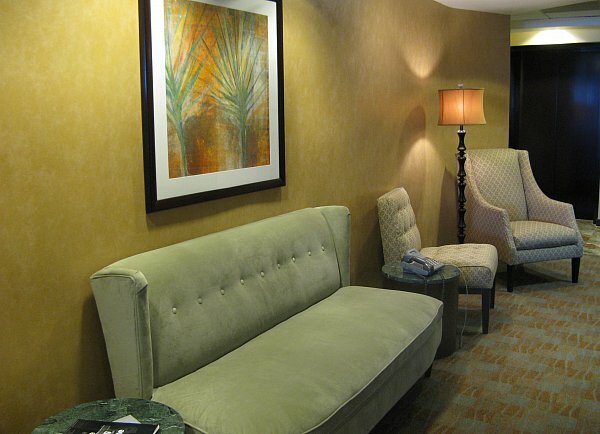 Elegant wallcovering enhances the furniture and artwork. 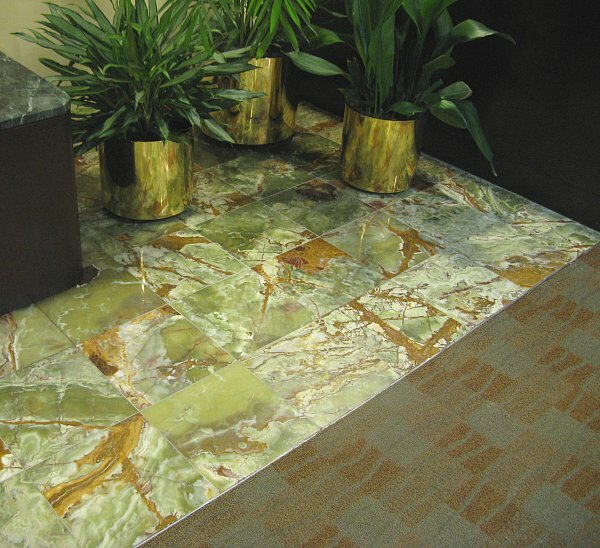 Onyx tile and carpet graphics create a bold flooring statement. 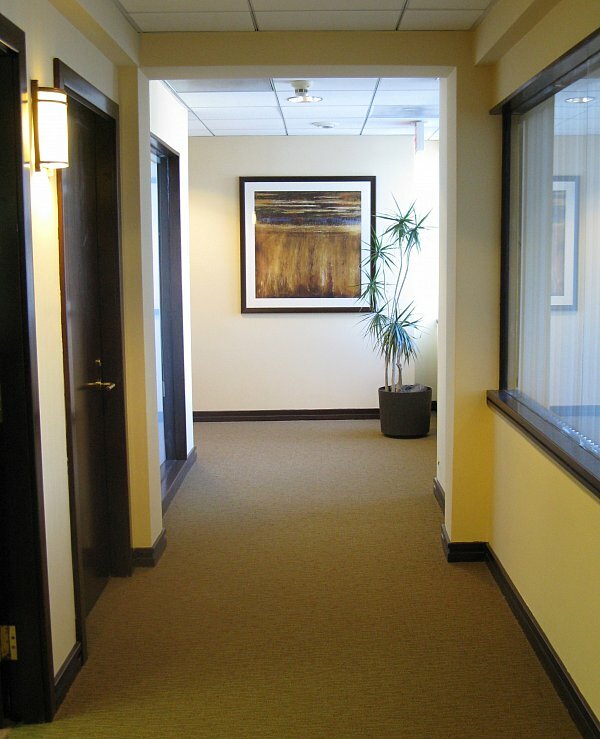 Corridors are warmed up with yellow walls and artwork focal points. 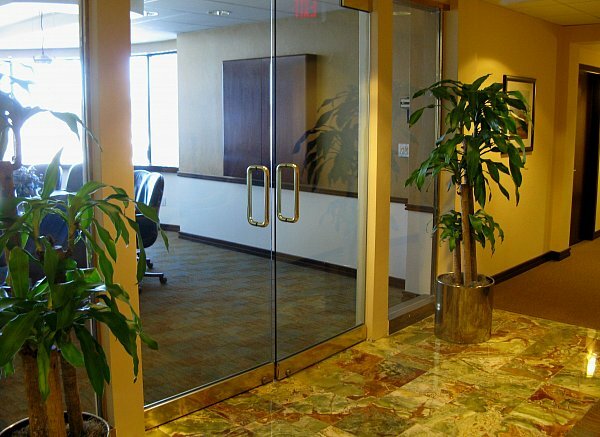 Tile, glass and plants create a formal entry to the conference room. An executive suite of offices has acquired an upbeat and contemporary appearance as a result of lobby and public area refurbishment. Boldly colored onyx tile and geometric patterned carpet provide an unexpected and colorful contrast around the reception desk. Corridors are warmed up with yellow painted walls, while in the reception area, gold textured wallcovering is an elegant backdrop for the furniture. The dark wood reception desk, doors, and trim are a dramatic and rich contrast to the warm tones.